Happy Magazine Monday, happy Valentine's Day Week, and happy #FoodBloggerLove Day! 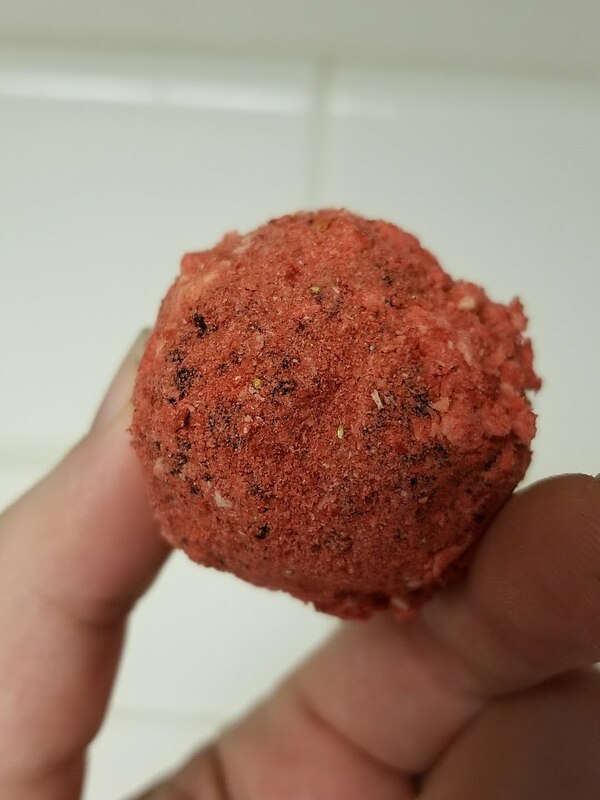 On this (alleged) National Truffle Day, I made these super, super easy strawberry truffles that make an excellent last-minute Valentine's Day gift for your special someone. 4 ingredients and a couple hours, and you'll have sweets for your sweetie. (Or something way less cheesy...) These taste like chocolate-covered strawberries, so you know I'm a fan! Make these truffles, check out Mayuri's Jikoni, check out the other bloggers in the link up below, and have a super happy Valentine's Day! 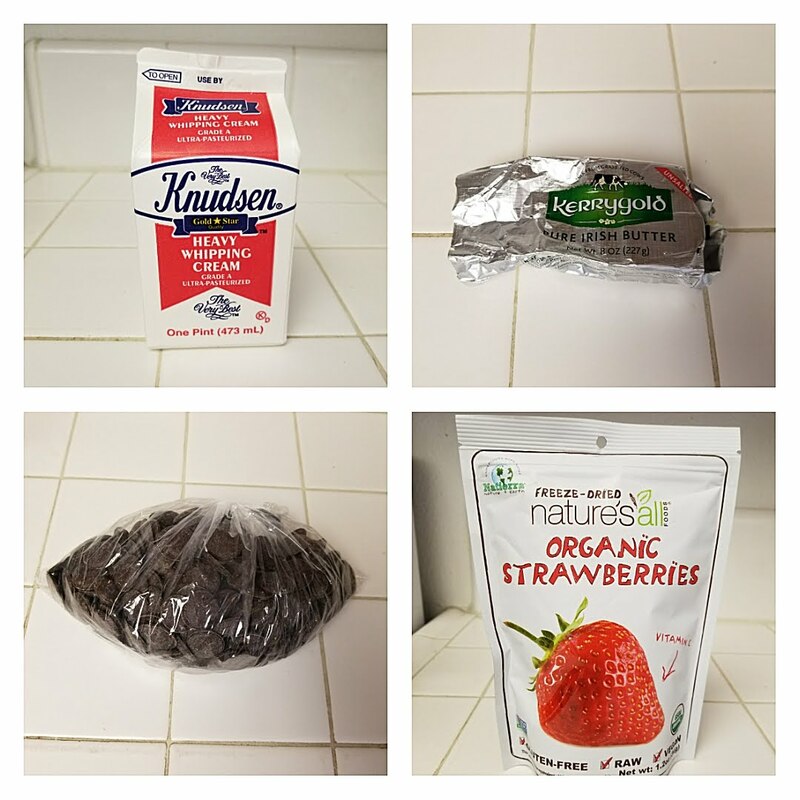 Roughly chop chocolate and place in a medium bowl and pulverize strawberries in a blender or food processor. Bring cream and butter to a boil over medium-high heat, stirring constantly to prevent burning. Pour butter and cream mixture over chocolate and stir until melted. 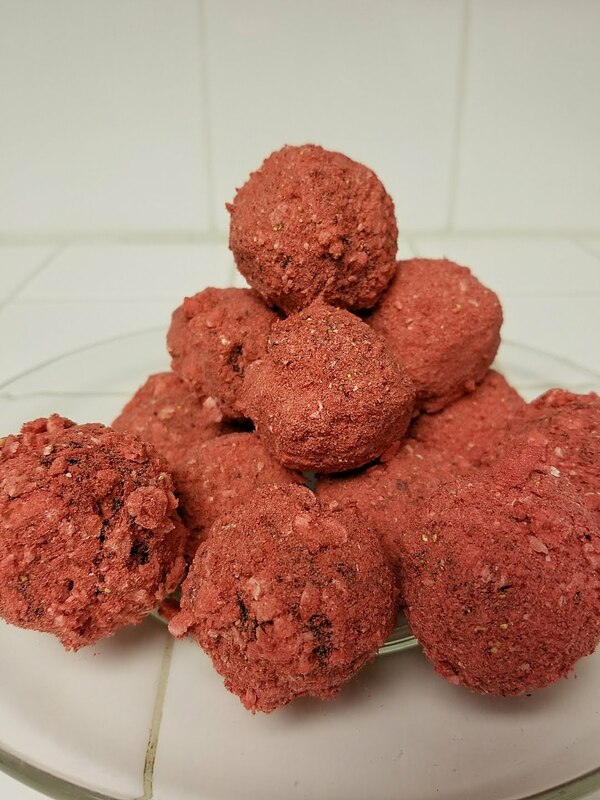 Scoop chocolate into 15 1-inch balls. 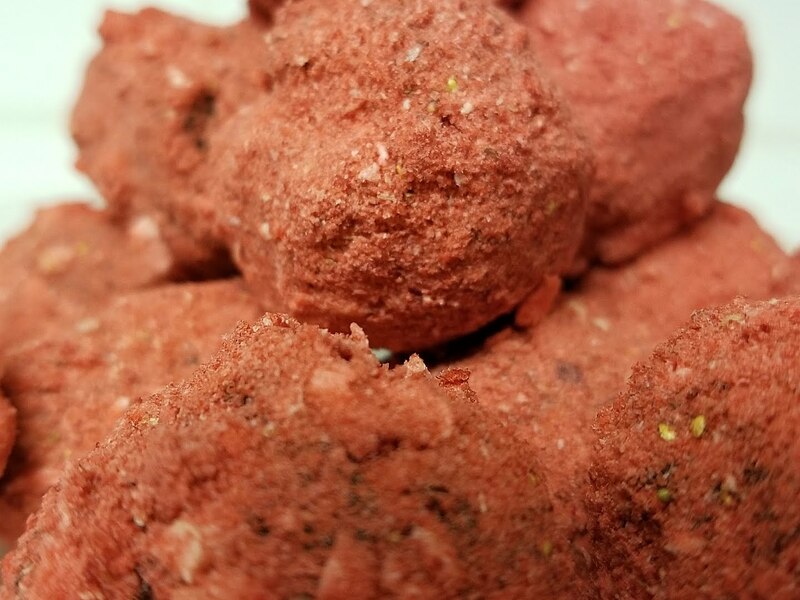 Roll chocolate balls in pulverized strawberries until well-coated. Chill until set.